What a wonderful book for a francophile, book lover, or French teacher. 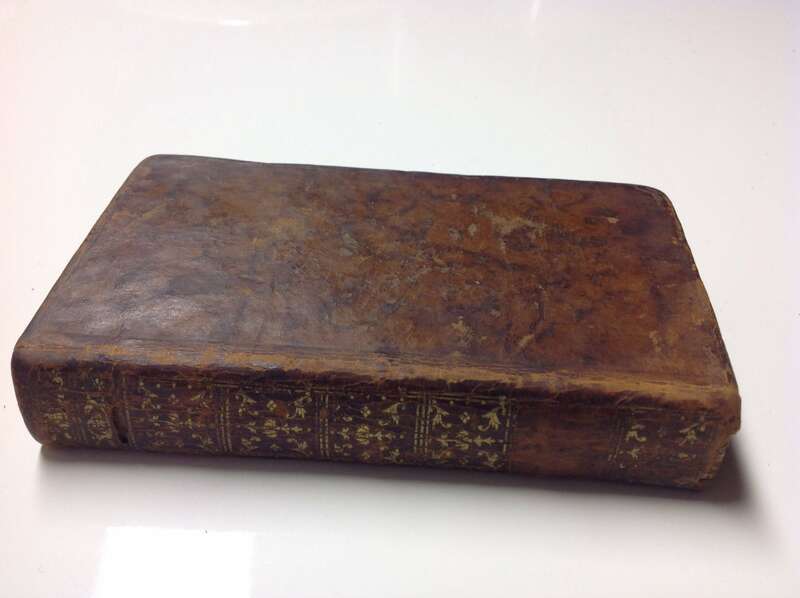 By far and away, the most notable aspects of this book are the exquisite cognac leather binding, magnificent marbling inside, and the delightful printing that adorns the beginnings and endings of sections. 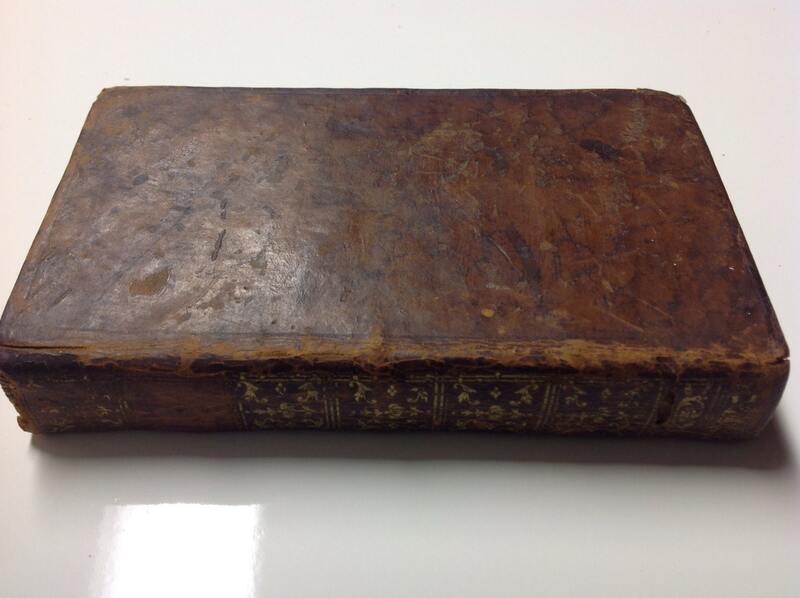 Condition is overall very good with some bumps to corners and spine as is typical of bindings of this era. However, the overall binding of the book is tighter than average. 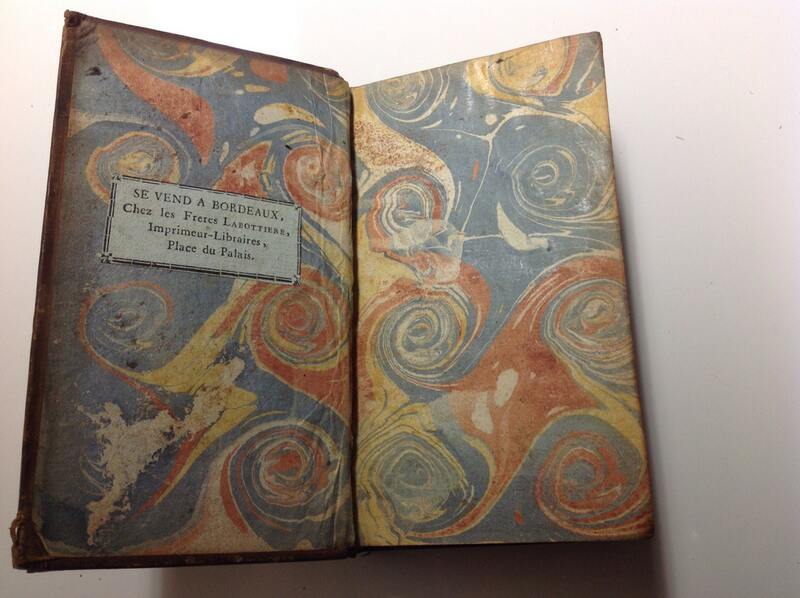 A possible old wormhole on the spine. Pages are very bright and white with little foxing or tanning. This book is a wonderful volume that someone in the era of our nation's founding fathers used. The subtitle of the book is: "Pour l'Intelligence des poetes, des tableaus, et des statues, dont les sujets sont tires de l'histoires poetique. 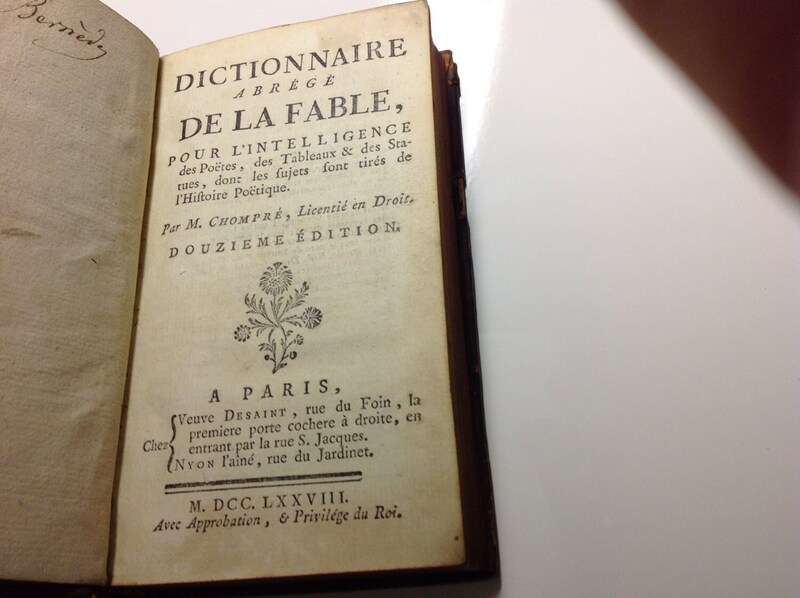 This particular edition has word translations, phrases by subject, idioms and more. Condition is outstanding. 412pages. 11th edition. 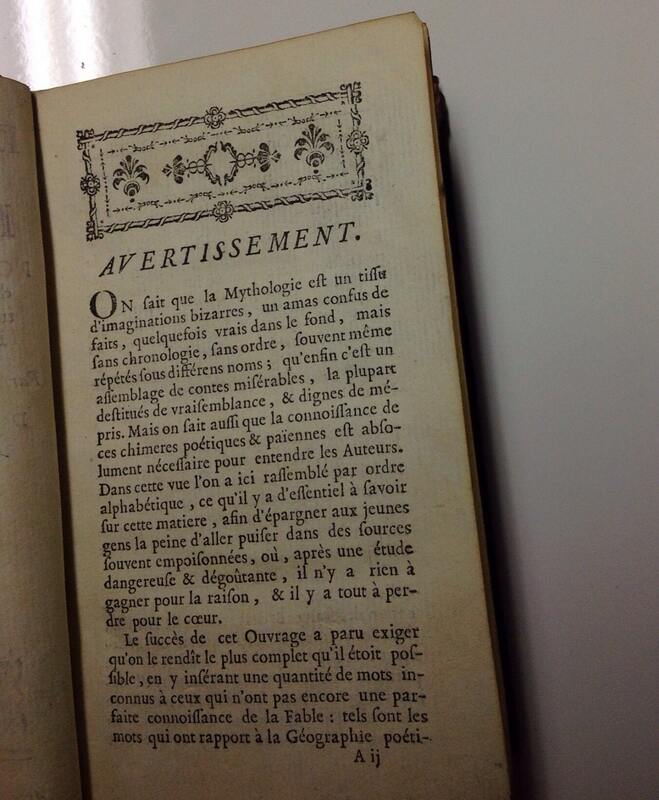 Printed in Pars, 1778: Printed for M Chompre. Want to just browse around the shop?